From Official Bio: Without gods, idols, or laws, there’s absolute freedom. Individuality reigns supreme, and you’re free to do whatever the hell you want. That’s precisely what SHARKS do on their first full-length album for Rise Records — ‘No Gods’ [Spring 2012]. 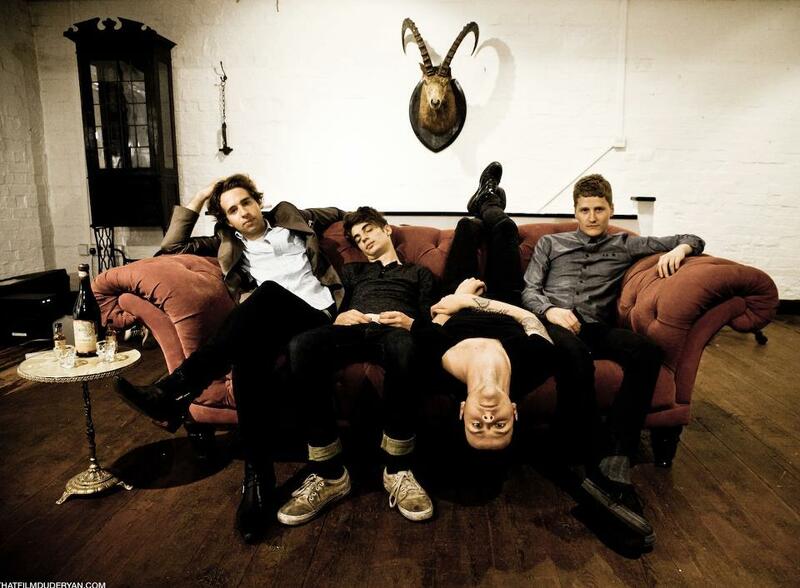 Instead of merely adopting the rules and regulations of the iconoclastic chaos of punk or British indie music the youthful UK quartet swims in a space between both styles. Over the course of eleven infectious anthems, SHARKS sharpen timeless melodies with an explosive edge tempered by intricate riffing and hypnotic harmonies. It’s pure, poetic, and powerful. Hi Sam, thanks for taking the time to talk to us. Hey buddy, much appreciated, thanks for your time. Yeah, we’ve got pretty lucky really haven’t we? It kind of looked like we weren’t even going to be going to Australia at all and then we got the offer for Soundwave and it was kind of like ‘Oh my God, this is crazy!’ but we’re really, really grateful we got to do it. Can you give us an idea of what people can expect if they come and see you on the day? I’d like to think something entertaining, energetic, a bit of a flash from the past, I guess we’re quite different from a lot of other acts on Soundwave and I think we’ll definitely stand out and I’m really excited to be given a platform to play with bands that don’t sound like us but there should be some common interest there at least, but hopefully a nice kind of light break on the day if you’re there. (laughs) yeah, it seems that way. The bill itself is huge as you’d know. Are there any bands you’re specifically excited about sharing the tour with? 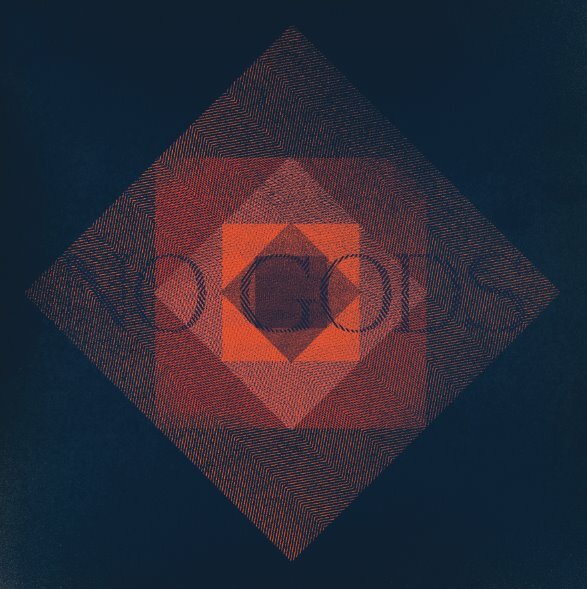 Your debut album ‘No Gods’ has been out for a little while now though, how has the reaction been to it? I think good, I think we were a bit dubious when we had it finished that the reaction might be a bit mixed, but I feel generally especially press wise, all the reviews have been really good and it’s good, yeah, really good. In putting ‘No Gods’ together, I was reading that you didn’t want to, nor pay attention to any trends, do you think this helped to make the album what it became? Yeah, I hope so, I think we definitely engineered it to sound like a branch of bands coming through, you know? It’s always been, especially in England bands blow up real quick, someone told me it’s the tall poppy syndrome, that happens a lot in England, and that’s what we really want to try and avoid that. Influence wise, who would you site as helping Sharks to become who they are? Well, a lot of people. I think we’re all really influenced by a lot of British music, especially from the Clashy, Buzzcocksy, Billy Braggy era of things, but definitely I know James is influenced by a lot of American music as well. I know he’s a big fan of Alkaline Trio and The Descendants and more of the punk stuff like that, also a huge fan on the new wave of British music with bands like The Cure and stuff like that. It’s a pretty wide range to be honest. Then throw it all in a blender and make Sharks…? You’ve been a band for 5 years now, with EP and compilation releases why did it take so long to release your debut album? Well we were just trying to find someone to put it out to be honest for years and years, and as soon as we found someone we kind of tried to get the ball rolling with doing the record. We were genuinely looking for a label and someone to release the record for a long time and it just kind of came about the way that it did. It’s not a super cheap thing to do as you can imagine… everything we did before that was just funded ourselves but we could never get enough together to do a whole couple of weeks or however long we needed, but it all kind of worked out in the end. Yeah, sure, I’d like to think there was some of that. Is it true that you’re already working on material for a new album? Yeah we’re actually hoping to get the new record out pretty quickly actually, we’re hoping to have it written and wrapped up by the end of the year. Then hopefully have it out in the first half of next year. I think we’ll play one or two new tracks at Soundwave, but it’s coming along nicely, yeah. We have about six or seven finished already. I have to ask, what is it with Sharks and bass players? Seems you’ve had more guys play bass in the band than any other band, ever! Is Carl a little worried at this point? No, not at all, essentially we had not the most amicable split with our first bass player, and since then we’ve basically had a lot of fill ins to get through the last year of touring, cause we were on the road for nine months and our bass player left two months in, so we had a lot of time left to fill where we just had to get different guys to fill in and stuff like that. So we ended up having something like six bass players in a year or something ridiculous you know (laughs). We’re really set up now and we have a really good friend of ours Carl playing now who I’m pretty sure has made things pretty complete for us, so yeah, I think the hard year is over but it’s been a bit of a joke really (laughs). You’ve just made a video for ‘Luck’ what can we expect to see? Lots of taxidermy and just us looking really tired (laughs) we did it at two in the morning or something in James’ house and it was quite a long night to be honest, I probably don’t look my best in it, but it’s a good one, it’s a good video and I’m excited to drop it. With 2013 just around the corner, have you got any sights set on what you want to achieve in this coming year? I think we definitely want to get this record done, and going to Australia is a pretty mad start to the year and if it follows in that vein I think it’ll be a pretty big one. Just going to ridiculous places… I don’t really know what we have in store, this is just what we do, just roll with it and see where it goes really. Thanks for your time Sam and we look forward to seeing you at Soundwave. Cheers, I’m just really excited to go, thanks a lot buddy. SATURDAY 23 – BRISBANE, RNA SHOWGROUNDS – SOLD OUT! SUNDAY 24 – SYDNEY, OLYMPIC PARK – SOLD OUT! FRIDAY 1 – MELBOURNE, FLEMINGTON RACECOURSE – SOLD OUT! SATURDAY 2 – ADELAIDE, BONYTHON PARK – SOLD OUT! MONDAY 4 – PERTH, CLAREMONT SHOWGROUNDS – SOLD OUT!